Thank you for visiting our Philadelphia Medical Weight Loss Center. If you would like more information on our medically supervised weight-loss program just call us and schedule your free consultation. Just call us at 215-821-7336 and Lisa will be glad to schedule your free consultation. I have 3 delicious smoothie recipes for you today. The recipes are for a Cinnamon Apple Keto Smoothie, a Keto Banana Smoothie Recipe and an Apple Pie Smoothie Recipe. If you, a co-worker, friend, family member or loved one need help with losing weight, I invite you to call and schedule your free weight loss consultation with us. Just call us at 215-821-7336 to schedule your free weight loss consultation. This entry was posted in Weight Loss and tagged "Philadelphia Diet Doctor", adipex in philadelphia, belviq in philadeldphia medical weight loss center, best philly diet doctors, contrave in philadelphia, diet pills in philadelphia, fasting, inexpensive weight loss pills in philadelphia, intermittent fasting, keto, keto diet, ketosis, ketosis diet, medical weight loss in philadelphia, medically supervised weight loss in philadelphia, Phendimetrazine in philadelphia, phentermine in philadlephia, philadelphia intermittent fasting, philadelphia keto, philadelphia weight loss doctor, philly diet doctors, qsymia in philadelphia, safe weight loss in philadelphia, Saxenda in philadelphia, Topamax in philadelphia, Topiramate in philadelphia, weight loss doctor in philadelphia, weight loss in philadelphia, weight loss pills in philadelphia, Xenical in philadelphia on April 2, 2019 by Dr. Michael Kenny. Hello everyone, I would like to wish you all a Happy Holiday Season! In today’s article I am giving you 3 great low carb Keto Smoothie recipes to help eliminate your appetite and cravings and help you lose weight. The recipes are for a Keto Creamy Peach Banana Nut Smoothie, a Keto Banana Boysenberry Fat Bomb Smoothie and a Keto Banana Goji Berry Fat Bomb Smoothie. 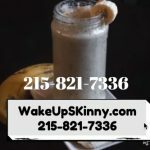 If this is your first time visiting our website and you are looking for a medical weight loss doctor in Philadelphia or Bucks County Pennsylvania I invite you to call and schedule your free weight loss consultation. You can dial one number for both office locations and the number to call is 215-821-7336. Combine everything into your blender, blend and enjoy! I hope you all enjoy these recipes. If you a friend, loved one or coworker is looking to lose weight I invite you to call us and schedule your free weight loss consultation. Just call us at 215-821-7336 and Lisa will gladly schedule your free medical weight loss consultation. Wishing you and your family a joyous and happy holiday season! This entry was posted in diet doctors, Diet Doctors in Bucks County, Diet Doctors in Philadelphia, Medical Weight Loss, Medical Weight Loss in Philadelphia PA, Medical Weight Loss Philadelphia, Medical Weight Loss Philadelphia Philadelphia PA, Philadelphia Weight Loss Doctor, Philadelphia Weight Loss Doctors, Weight Loss, weight loss philadelphia and tagged "Philadelphia Diet Doctor", adipex in philadelphia, belviq in philadeldphia medical weight loss center, best philly diet doctors, contrave in philadelphia, diet pills in philadelphia, fasting, inexpensive weight loss pills in philadelphia, intermittent fasting, keto, keto diet, ketosis, ketosis diet, medical weight loss in philadelphia, medically supervised weight loss in philadelphia, Phendimetrazine in philadelphia, phentermine in philadlephia, philadelphia intermittent fasting, philadelphia keto, philadelphia weight loss doctor, philly diet doctors, qsymia in philadelphia, safe weight loss in philadelphia, Saxenda in philadelphia, Topamax in philadelphia, Topiramate in philadelphia, weight loss doctor in philadelphia, weight loss in philadelphia, weight loss pills in philadelphia, Xenical in philadelphia on December 21, 2018 by Dr. Michael Kenny. If this is your first time visiting our website and you would like more information on our Philadelphia medical weight loss program, I invite you to call and schedule your free weight loss consultation. Just call us at 215-821-7336 and we will gladly schedule your free weight loss consultation. In today’s article I am going to give you a few recipes that are loaded with awesome nutrition, will help satisfy your appetite and cravings and assist you in achieving your weight loss goals. I am also going to discuss a topic – question that many new patients coming into our office are asking me about. And this question is about the Keto Diet or ketogenic diet. It seems that many new patients coming into the office have already started some type of ketogenic diet on their own and are suffering from diarrhea. And they have no idea why this is happening. So, in this article after I give you the recipes for the smoothies, I will review why some people may initially experience diarrhea on a ketogenic diet, when they try doing on their own. The smoothie recipes will be for three of my favorite smoothies and they are the Keto Banana Avocado Fat Bomb Smoothie, Keto Blackberry Hemp Fat Bomb Smoothie and my Keto Blueberry Cavern Smoothie recipe. Place everything into your blender, blend and enjoy! Solutions 4 protein powder – 1 scoop of chocolate, mocha or vanilla flavor. 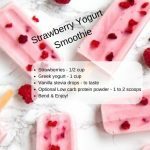 So, there you have it, 3 of my favorite recipes for smoothies that will help satisfy your appetite and cravings, provide you with excellent nutrition and help satisfy your sweet tooth. Now I am going to get into a somewhat sensitive topic and that is why do some people suffer from diarrhea when they first start the ketogenic diet. In my experience one of the main causes of diarrhea on the ketosis diet is that people are eating too many saturated fats. The ketogenic diet does focus on eating good healthy fats, but your body has to adapt this way of eating overtime. Eating foods that contain good healthy fats such as salmon, avocados and olive oil are excellent when you are following the ketogenic diet, but they are also quite good for you even if you are not following a ketogenic diet. Eating these types of natural foods that are normally part of our everyday diet is usually not the problem. Eating these natural foods should normally be part of everyone’s diet plan. They promote better overall health, wellness and will help you lose weight. But when people begin the ketogenic diet in addition to eating these regular healthy foods like salmon and avocados, they supplement with additional fats like coconut oil, MCT oil and frill oil. And sometimes all of this additional fat is too much for the body to handle. You see when you eat fatty foods your body produces more bile. This is a normal healthy function that goes on in our body every day over lives. When we eat any type of fatty food are gallbladder automatically produces more bile and that helps the process of digesting our food. However, when people start supplementing with extra fats the body may produce extra bile that serves as a lubricant for our intestines and colon and this can cause diarrhea. So, one of the easiest ways to help with diarrhea when starting a ketogenic diet is to decrease the amount of saturated fats that you are eating. Simply try to reduce a few of the extra oils that you have added your diet such as frill oil, coconut oil, MCT oil and any other extra oils that you may be consuming. And try not to add any extra fat to your diet; for example – try not to add extra butter to your meals just to add some additional fat. Another thing that I have found with new patients coming into the office is that they have added bulletproof coffee to their normal daily routine. And since doing this they have been having diarrhea almost immediately after finishing their cup of bulletproof coffee. And this exemplifies my point that consuming too many fats can be causing your diarrhea. Stick with the normal fats that are in your everyday normal diet and you should be fine. I hope that you enjoyed this article. If you, a friend, coworker or a loved one are looking to lose weight I invite you all to call and schedule a free weight loss consultation. Call us at 215-821-7336 and we will gladly schedule your free weight loss consultation. This entry was posted in diet doctors, Diet Doctors in Bucks County, Diet Doctors in Philadelphia, Medical Weight Loss, Medical Weight Loss in Philadelphia PA, Medical Weight Loss Philadelphia, Medical Weight Loss Philadelphia Philadelphia PA, Philadelphia Weight Loss Doctor, Philadelphia Weight Loss Doctors, Weight Loss, weight loss philadelphia, Weight Loss Recipes and tagged "Philadelphia Diet Doctor", adipex in philadelphia, belviq in philadeldphia medical weight loss center, best philly diet doctors, contrave in philadelphia, diet pills in philadelphia, fasting, inexpensive weight loss pills in philadelphia, intermittent fasting, keto, keto diet, ketosis, ketosis diet, medical weight loss in philadelphia, medically supervised weight loss in philadelphia, Phendimetrazine in philadelphia, phentermine in philadlephia, philadelphia intermittent fasting, philadelphia keto, philadelphia weight loss doctor, philly diet doctors, qsymia in philadelphia, safe weight loss in philadelphia, Saxenda in philadelphia, Topamax in philadelphia, Topiramate in philadelphia, weight loss doctor in philadelphia, weight loss in philadelphia, weight loss pills in philadelphia, Xenical in philadelphia on December 6, 2018 by Dr. Michael Kenny. 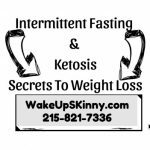 In today’s article I am going to give you the basics of intermittent fasting and ketosis. You can call it intermittent fasting and ketosis 101. But first, I would like to offer you a free consultation with our weight loss doctors if you are interested in our weight loss program. Just call us at 215-821-7336 and Lisa will gladly schedule you for your complimentary weight loss consultation with one of our medical providers. Before I get into the basics of intermittent fasting and ketosis I do have to tell you that fasting and ketosis type diets are not meant for everyone and before you start any type of nutritional changes you should discuss it with a medical or health care provider. Various types of fasting practices and keto or ketosis type diets have been part of our worlds Global culture for decades, if not centuries. Because of this there is an abundance of information available to us for a multitude of fasting practices and Keto – ketosis diets. Some of this information is good and some of it is bad and that is why you should always consult with a medical or health care provider who is knowledgeable in these types of nutrition practices. Now to begin with the very basics ketosis or keto diet simply means that instead of your body burning fuel for energy it’s burning ketones. Ketones are made by your body burning its own fat for fuel. Simply stated, when you stop eating sugar and foods that convert to sugar your body will burn its own body fat for fuel. It breaks the body fat down into ketones and ketones are a superior fuel source for your body as compared to sugar. When following a keto diet, you have to make sure that you are giving your body all of the vitamins, minerals and nutrients that it needs on a daily basis to continue running at peak capacity. And that means that you have to eat quality foods loaded with great nutrition. Intermittent fasting, simply means that you will not be eating all day long. Intermittent fasting is a protocol of eating in which you are going to eat during a set period of time in the day. The number of hours you allow yourself to eat during the day varies for different people. Some people allow themselves 8 hours to eat all of their meals and for the rest of the 16 hours of the day and night they are not eating but they are definitely drinking liquids. For most people this usually decreases the number of meals they are eating during the day. Intermittent fasting and ketosis have a similar goal. The goal is to reduce the number of times in the day that your body is producing extra insulin. One of the reasons for this is because when your body has an increase or a spike in insulin production most of what you are eating and drinking is going to be stored as body fat. This goal is not to totally stop our body from producing insulin. The goal is to limit the production of excess insulin. When there is continuously an excessive level of insulin in the body, the body eventually becomes insulin resistant. Most people begin intermittent fasting with just eating three meals a day during an 8-hour period. As opposed to eating 6 to 7 meals a day. They also try not to snack during the day but if they do need to have a snack it is usually vegetables or a good healthy fat. If, a person is truly dedicated to making this lifestyle change they may even decrease their eating to 2 meals a day and a good healthy snack. Please be aware that these types of diets do not endorse starving yourself or drastically reducing your number of calories per day. Reducing the number of meals eaten during the day does not mean to drastically reduce your calories. Personally with my diet I try to eat all of my calories and nutrients during an 8 hour period of time. Believe me, I am eating during these 8 hours. I am eating three meals a day during an 8-hour period of time and I am giving my body the total 1600 calories that it needs during this time period. It is said that this type of protocol increases growth hormone production and this helps your body burn fat and maintain your lean muscle. For your meals, it is usually recommended that you have an adequate amount of healthy protein, lots of vegetables and some good healthy fat. I usually tell our weight loss patients that a simple basic plan is to make sure that when you are having a meal half of your plate is it loaded up with good healthy vegetables and on the other side of your plate 1/4 of your plate should be your healthy protein and the other quarter should be a healthy carbohydrate and if you are following a keto diet it should be a healthy fat, like an avocado. Before coming to us many of our patients have decided to follow the keto diet but they have had a difficult time with getting rid of the starchy carbohydrate type foods like pasta, rice, pizza, etc… and that is perfectly normal. We just have them reduce the portion sizes of these carbohydrates over the course of time. The great thing about the body is that it adapts to this type of eating and as you continue with it, most people do not crave carbohydrates or sweets at all. The reason for this is that you’re giving the body all of the nutrition it needs in the form of good healthy protein, lots of nutrient dense vegetables and good healthy fats like olive oil and avocados. Many people come into the office for the first time telling us that they are trying to follow a keto diet but they are just always hungry and this is usually easy to fix by just adding good healthy fats to the diet. When people first come into the office and tell us that they are constantly hungry, it usually means that they are not eating enough good healthy protein, vegetables and good healthy fats. For years people have been afraid of eating good healthy fats because it was thought that they cause you to gain weight, but that is not the case. It’s too much insulin in your body and being insulin resistant and or weight loss resistant that is making us overweight. So you see the keto diet and intermittent fasting, share the common goal of reducing the amount of excess insulin in the body. Excessive levels of insulin in the body can lead to many significant health problems. Here are some symptoms to be on the lookout for to help you determine if you are insulin resistant and or weight loss resistant: you’re hungry all the time, you are depressed, irritable, grumpy, you have cravings, you have high blood pressure, you have excessive belly fat, you lack mental clarity and focus, your bad cholesterol levels are high and your memory might not be as good as it was in the past. Many people start a keto diet in addition to intermittent fasting for the purpose of losing weight and these nutritional practices can definitely help you lose weight but they can also help improve your overall health and wellness. I hope you found this article interesting. Again I must tell you that before beginning any type of nutritional program to speak with a doctor or a licensed healthcare provider. If you, a friend, a loved one, family member or co-worker need help losing weight I invite you to call us and schedule a free weight loss consultation. Just call us at 215-821-7336 and we will gladly schedule your free weight loss consultation. This entry was posted in diet doctors, Diet Doctors in Bucks County, Diet Doctors in Philadelphia, Medical Weight Loss, Medical Weight Loss in Philadelphia PA, Medical Weight Loss Philadelphia, Philadelphia Weight Loss Doctor, Philadelphia Weight Loss Doctors, Weight Loss and tagged adipexinphiladelphia, belviqinphiladeldphiamedicalweightlosscenter, bestphillydietdoctors, Contraveinphiladelphia, dietpillsinphiladelphia, fasting, inexpensiveweightlosspillsinphiladelphia, intermittent fasting, keto, keto diet, ketosis, ketosis diet, medicallysupervisedweightlossinphiladelphia, medicalweightlossinphiladelphia, Phendimetrazineinphiladelphia, phentermineinphiladlephia, philadelphia intermittent fasting, philadelphia keto, philadelphiadietdoctor, philadelphiaweightlossdoctor, phillydietdoctors, qsymiainphiladelphia, safeweightlosinphiladelphia, Saxendainphiladelphia, Topamaxinphiladelphia, Topiramateinphiladelphia, weightlossdoctorinphiladelphia, weightlossinphiladelphia, weightlosspillsinphiladelphia, Xenicalinphiladelphia on November 29, 2018 by Dr. Michael Kenny.